In 2001 just after my move to RI from Pittsfield, MA I returned to that city to vote in favor of a downtown stadium for Double A franchise owned by a wealthy former Pittsfield citizen. The stadium proposal – a private-public partnership – was narrowly defeated and as consequence Pittsfield lost the franchise never to get another one to replace it. 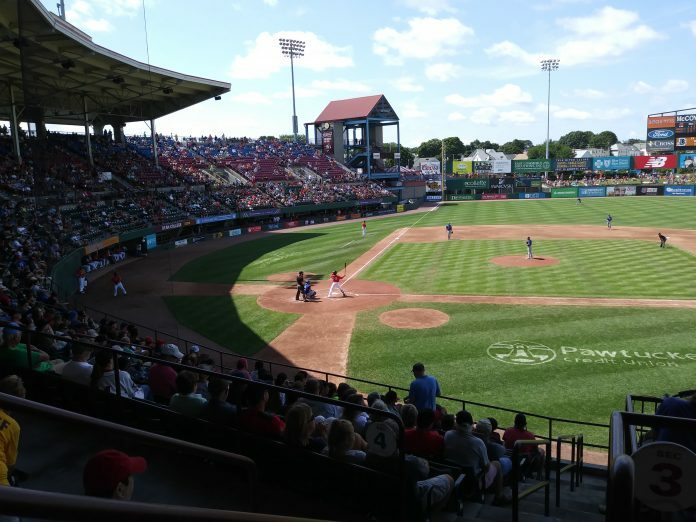 Some collegiate teams play in Pittsfield’s old ballpark, but the excitement is gone To this day, the downtown site remains largely underutilized with only a CVS store and a carousel located there. The carousel was one idea to re-vitalize this part of downtown, but it is closed most of time and the site looks forlorn. Good luck to Pawtucket with hopes that they do not replicate the Pittsfield experience.